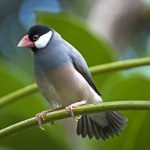 The Shaft-tail Finch is a beautiful finch species originating from Australia. 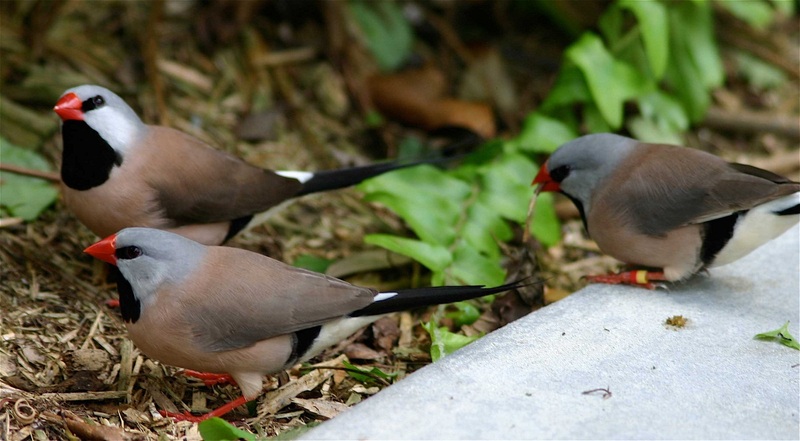 It is found in abundance and is second only to Zebra Finch in terms of population. 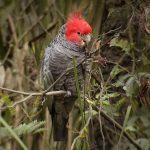 These birds are further classified into two sub-species – the Yellow-billed variety (Poephila acuticauda) and the red-billed variety (Poephila acuticauda hecki). 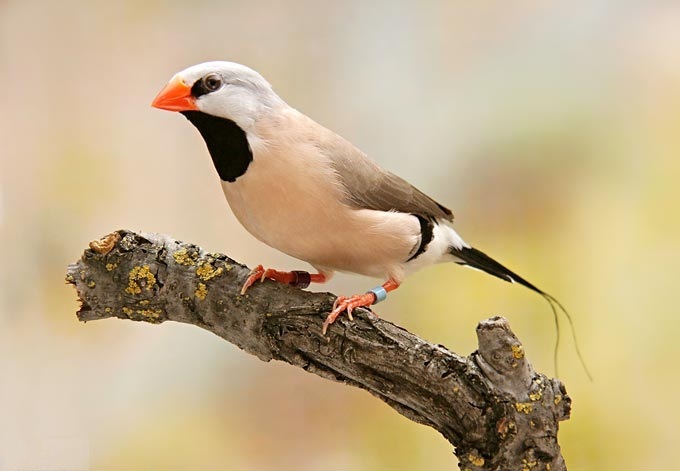 Although the male and female Shaft-tail finches are identical, they have slight differences in bib size, beak color, and body size. Fawn Shaft-tail Finch: It is a paler variation that has a tawny brown coloration with dark brown thighs, eyes, and throat. 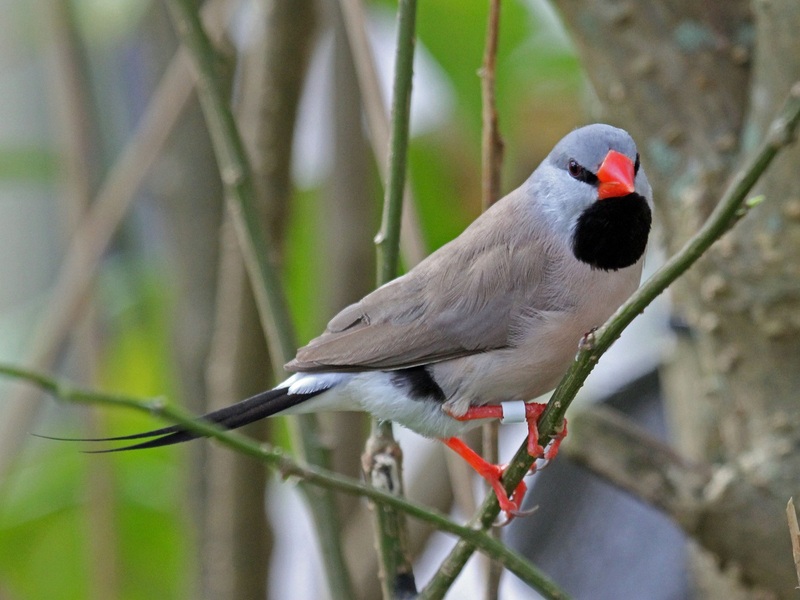 White Shaft-tail Finch: The bird is completely white with indistinct black markings. Cream Shaft-tail Finch: The entire bird has an off-white hue with light brown bib, tail, and thighs. 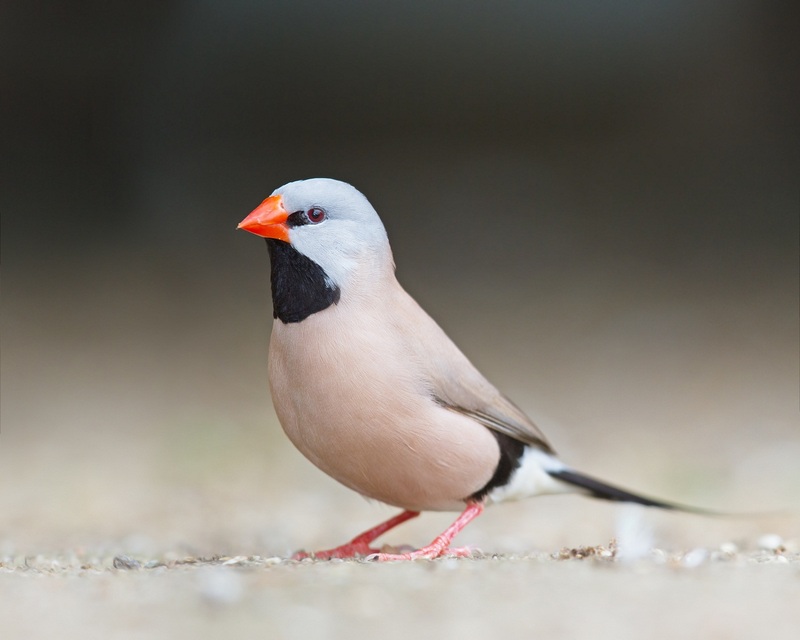 Shaft-tail finches are one of the stylish and elegant-looking Australian finches that are petted by bird lovers. 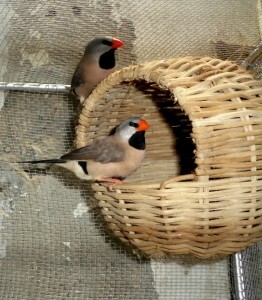 These birds can be kept by the inexperienced breeders, as they are easy to breed. Shaft-tails can be bred in large aviaries or single pair flight cages. By housing the pairs separately in cages, better breeding results can be easily obtained. Each pair can be kept in 36 inch X 20 inch X 20 inch cages with bamboo covering. Although these birds love sun-bathing, they should be provided with shaded areas within their enclosure. 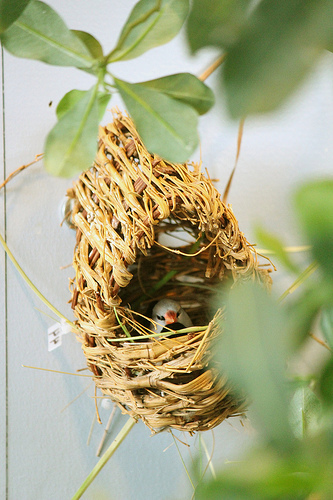 A shaft-tail finch pair should be provided with several nesting options because they prefer to roost at night in their nests. They often accept finch nestboxes and birdhouse gourds placed high in their enclosure to lay deep in or hide. 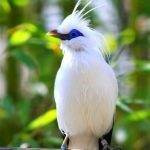 These birds use different kinds of nesting materials like dried grasses, shredded paper, coconut fiber, and feathers for constructing their nests. They usually dislike nest built by their keepers and may tear it out. These birds are not known to survive in cold temperatures (below 15 degree Celsius). Therefore, they should be kept indoors or they should be provided with heated shelters if kept outdoors during the winter. Shaft-tail finches dislike being kept in damp conditions. These finches adapt to captivity quite readily, which make them a good prospects for mixed aviaries. 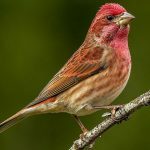 Although these birds mix well with other shaft-tail finches or other finch species, they may occasionally become aggressive to smaller finches like Waxbills during their breeding season. These birds love feeding on sprouted seeds, eggfood, spray millets, chickweed, spinach, and lettuce. They should be provided with grit, cuttlebone, and fresh water regularly. 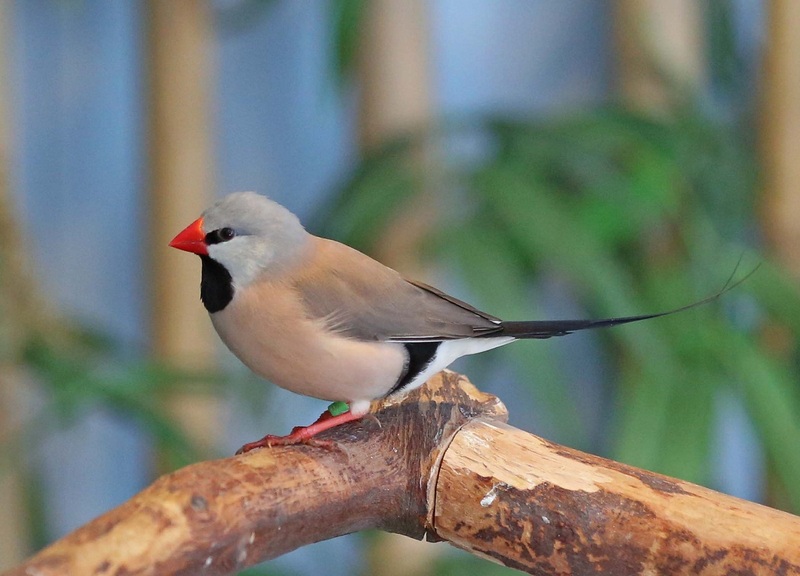 To ensure that these finches remain healthy, the keepers should provide them with adequate space in their enclosures that give them the opportunity to fly. A dish with fresh bath water should be placed inside the enclosure of the shaft-tail finch because regular bathing is crucial to the bird’s health. Like most finches, shaft-tail finches love feeding on the ground for extended periods. Therefore, they are vulnerable to mites and parasitic worms. 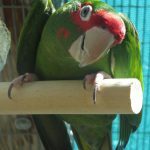 So, a proper worming regime is necessary for the aviaries and avian vets should be consulted for designing the right treatment program for the flock. $55-$100 is the price of a shaft-tail finch. 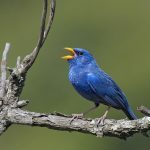 These birds are amusing to watch when they sing. They bob their heads in a comical manner while the male finches sing their call songs. Although the female shaft-tail finches partially sing songs, they call frequently. The Shaft-tail Finches have been hybridized with other species including Plum-headed Finch, Crimson Finch, Bengalese Finch, Chestnut-breasted Finch, Spice Finch, Diamond Firetail, Zebra Finch, Owl Finch, Parson’s Finch, and Masked Grassfinch. Flock members are observed to groom and clean the feathers and skin of each other. 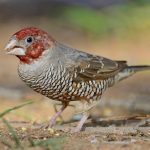 One Response to "Shaft-tail Finch"
Well explained and good information.